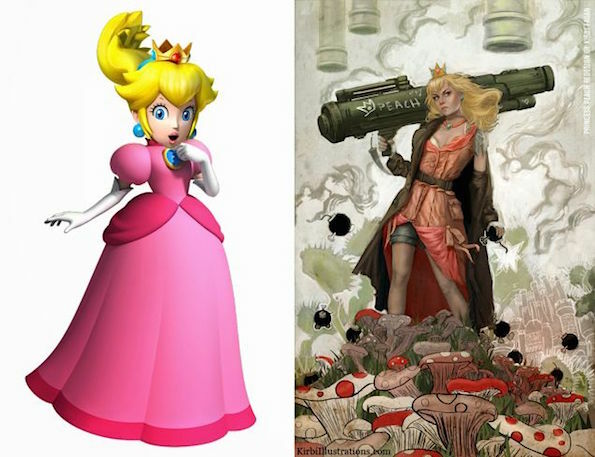 The following illustrations of Princess Peach and X-Men’s Storm by female sci-fi artists Kirbi Fagan and would bring Mario and Professor X to tears. 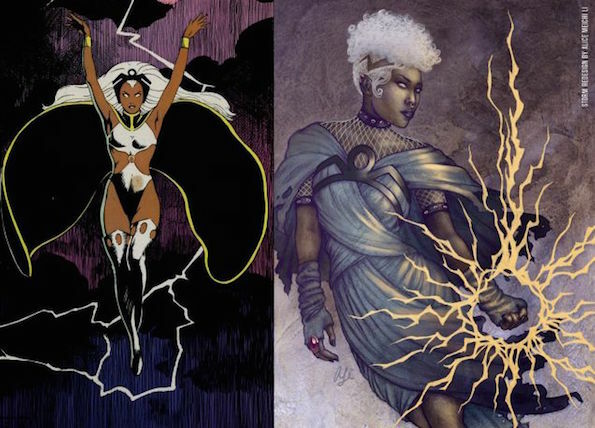 Click here for a side-by-side comparison of Peach from N64 and Fagan’s bazooka Peach and here for one of badass thigh-baring comic book Storm and even more badass “Weather Witch” / “Nature Goddess” Storm. And also check out Fagan’s website. Anyone with a living room, a few bucks and a love of conversation pieces needs her Winnie The Pooh painting ASAP. 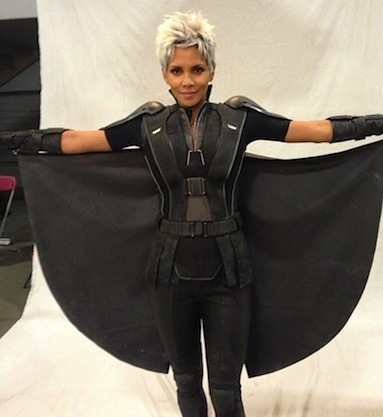 Returning X-Men/X2 director Bryan Singer’s latest peek into X-Men: Days of Future Past is a look at Halle Berry as Storm, or rather, a look at Halle Berry’s hair, as there’s nothing fantastic or unique about her outfit. 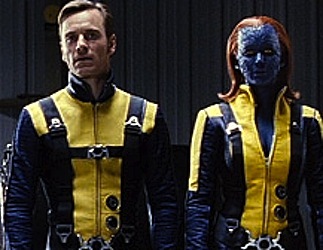 If I was a backwoods old timey conservative I’d say that ‘the gays have been infiltrating the media for years,’ and that it’s gone beyond just movies and television. 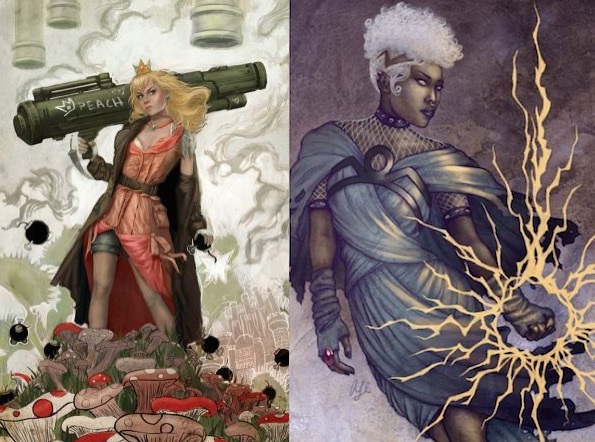 Yes, as if Queer As Folk, Will & Grace, The L Word, Brokeback Mountain, Skins, and Modern Family weren’t enough, there are homosexuals in video games (Dragon Age, Mass Effect, The Witcher 2) and comic books! Get the pitchforks. 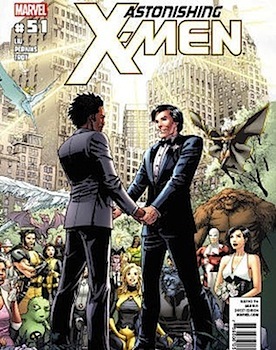 Doonesbury (in 1976), Wonder Woman (1988), The Authority (1999), Batwoman (2006) and Archie (2010) are all examples of comics with gay characters. In 1992 as a part of Alpha Flight, the Marvel superhero Northstar came out of the closet.